Chef Katsuji Tanabe, executive chef at Los Angeles dairy kosher restaurant 26 by Shiloh’s, learned this cocktail from his grandfather in Mexico. The recipe has been in his family for years. It’s served over ice, which makes it particularly light and refreshing. 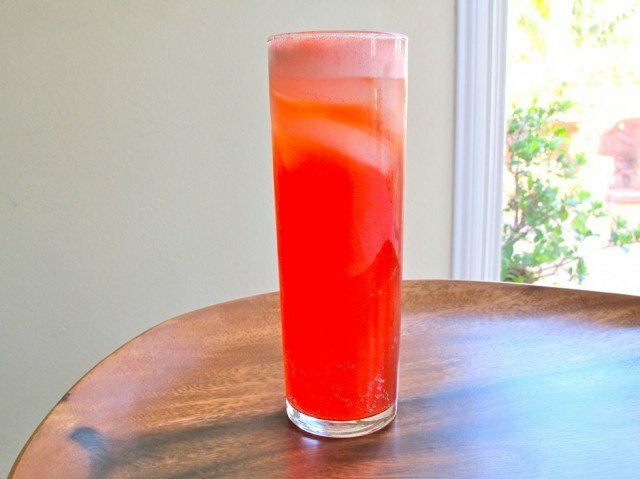 Learn a summery kosher cocktail from Mexico with lime juice, vodka, rum, grenadine, and light beer. Cool and refreshing. Pour all ingredients into a cocktail shaker and stir with a long spoon (don’t shake). Taste and add more grenadine for sweetness, if desired. Place 6-8 ice cubes into a highball glass. Pour the cocktail slowly into the highball glass. Serve. Love Katsuji’s restaurants, and love this cocktail!